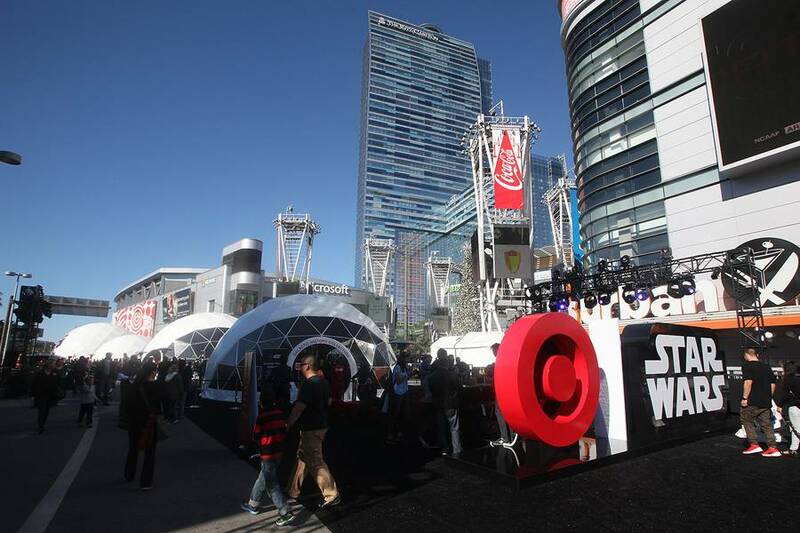 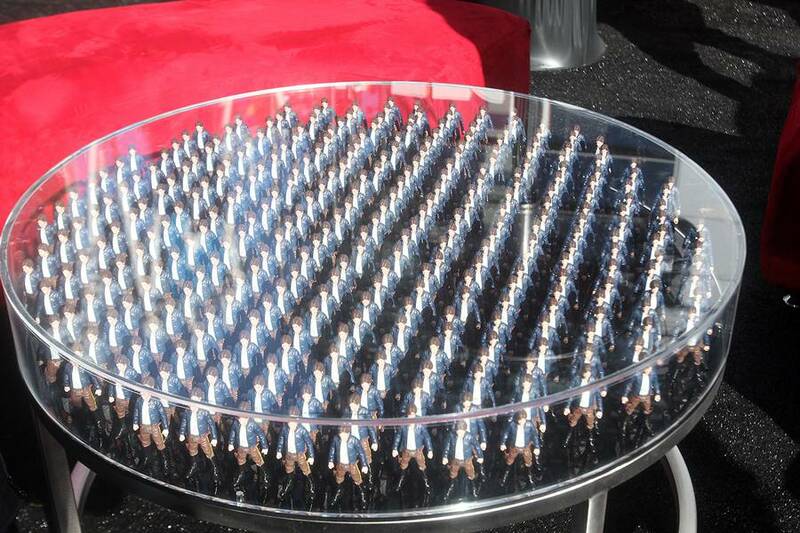 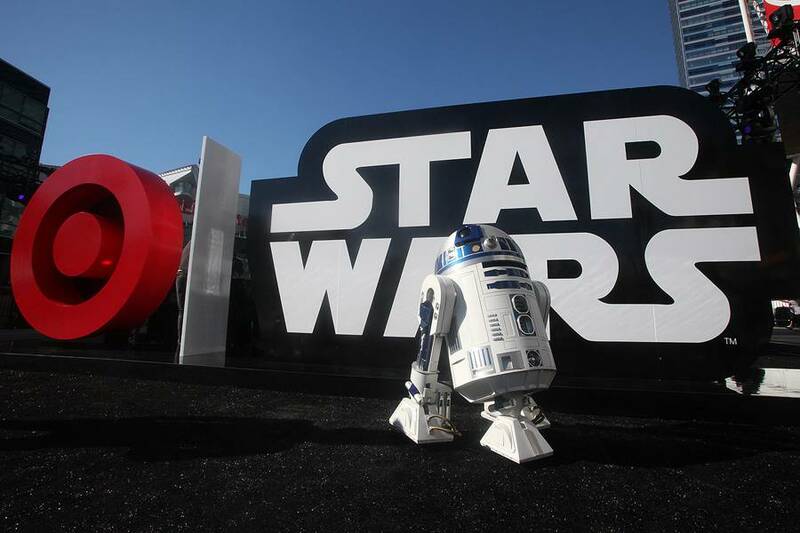 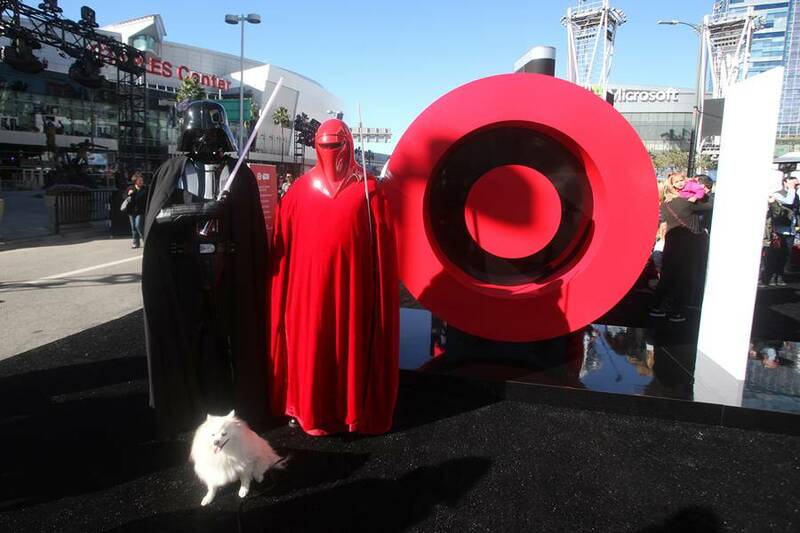 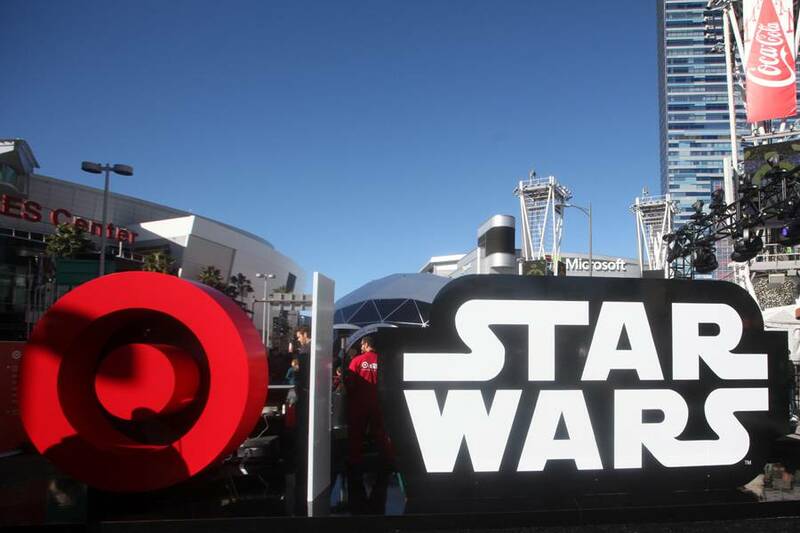 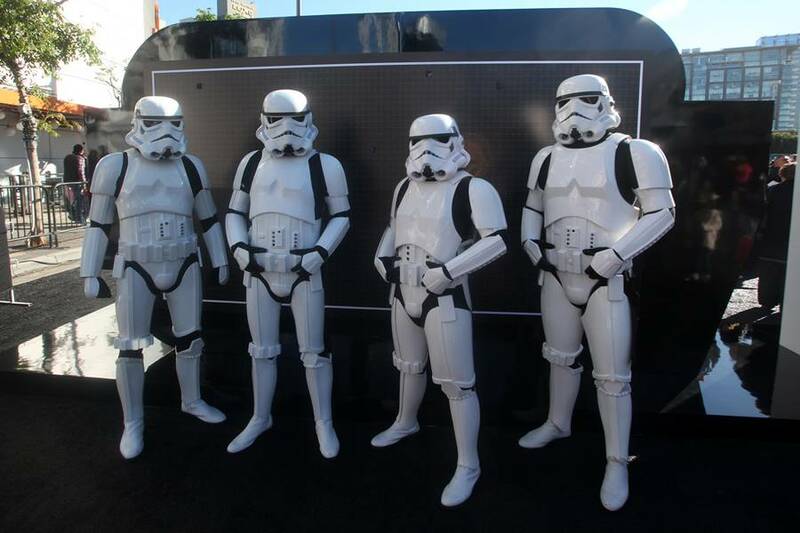 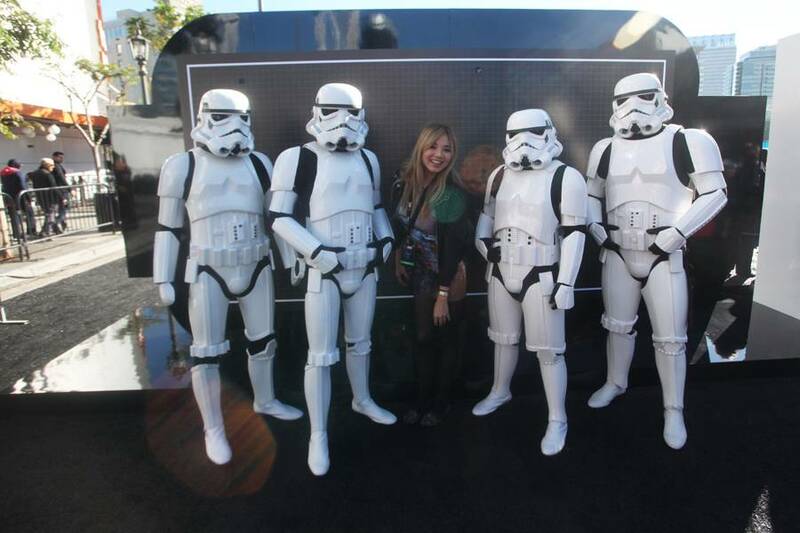 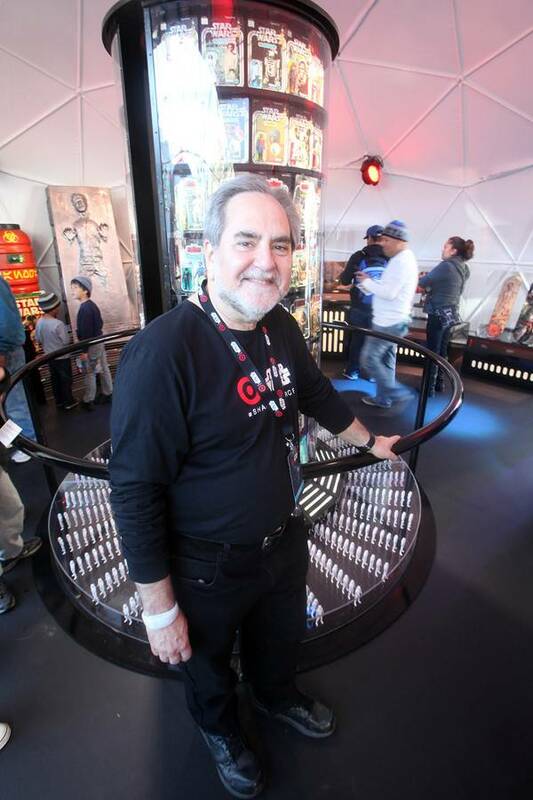 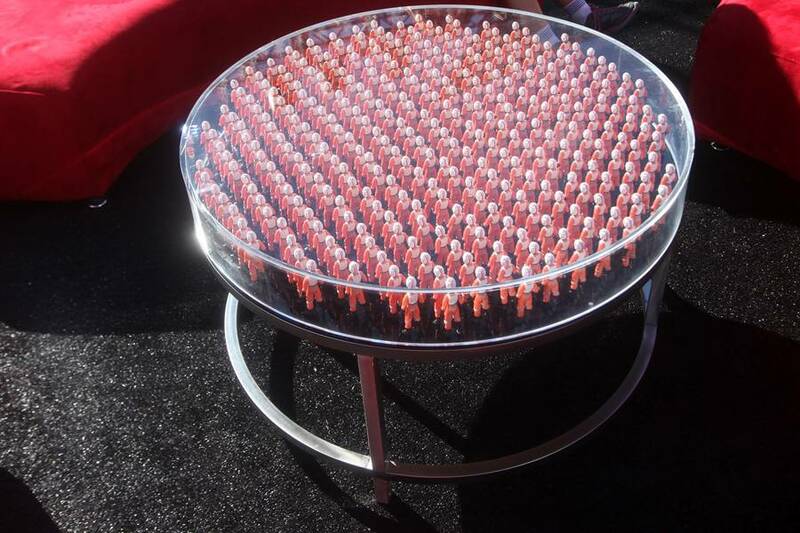 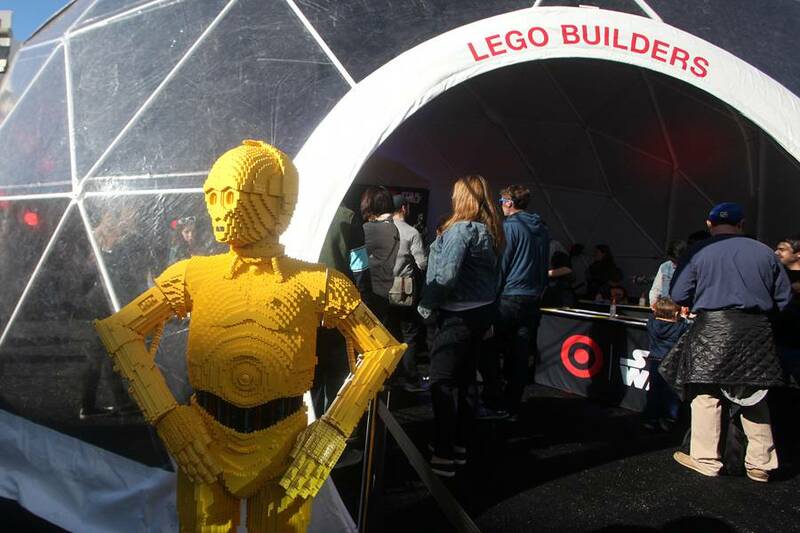 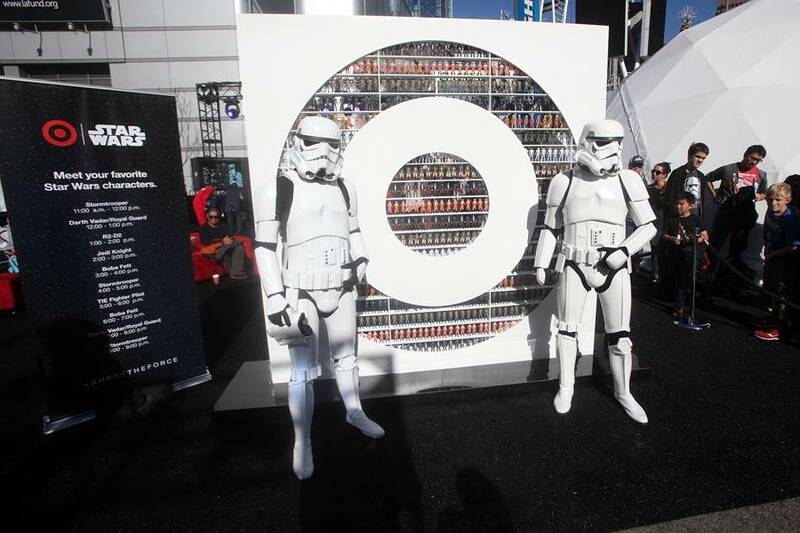 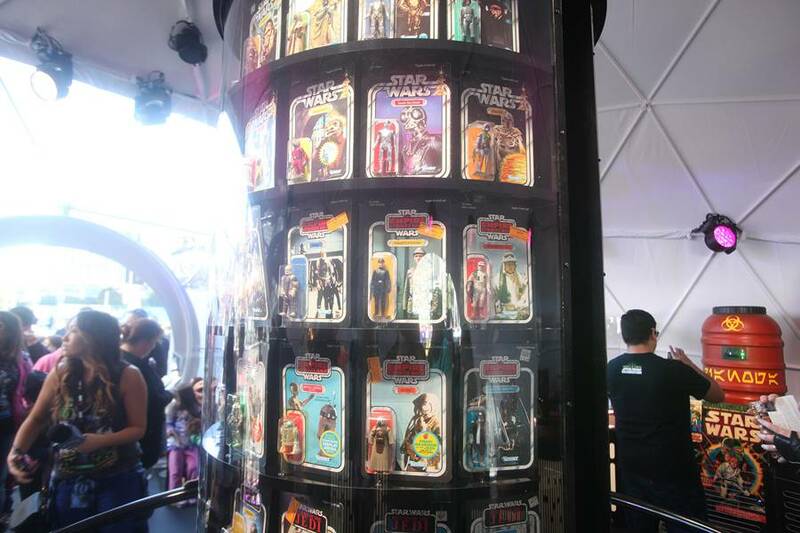 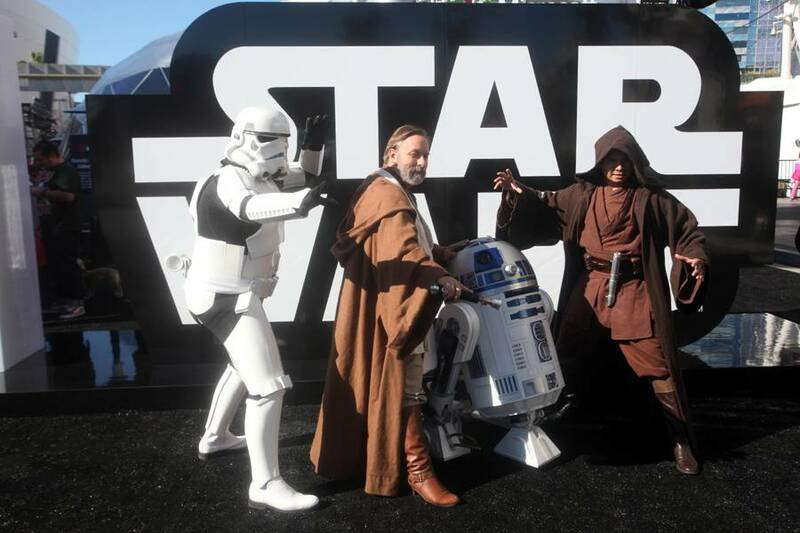 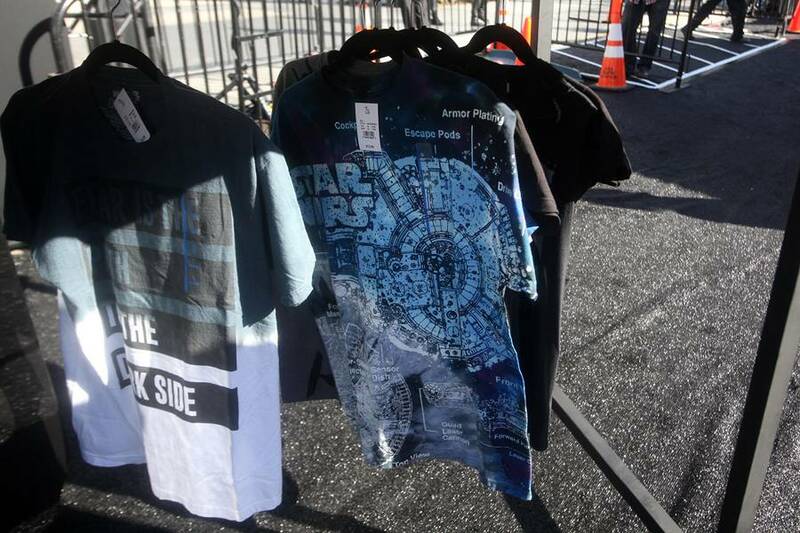 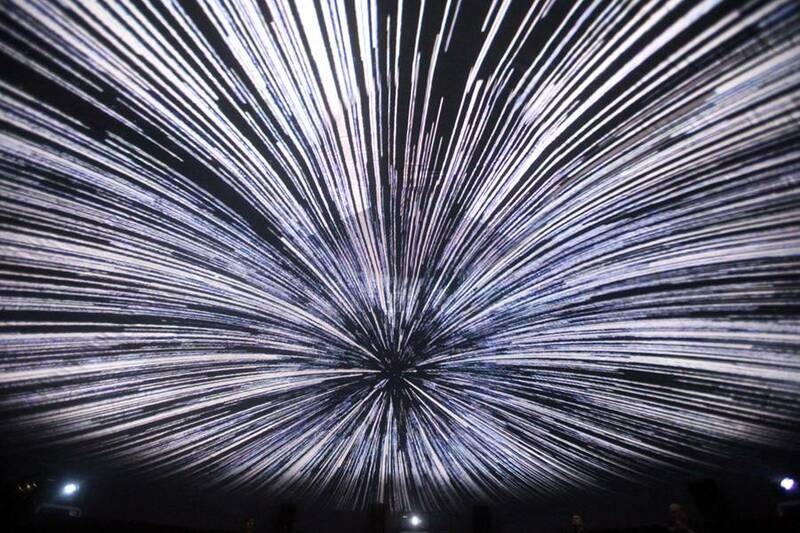 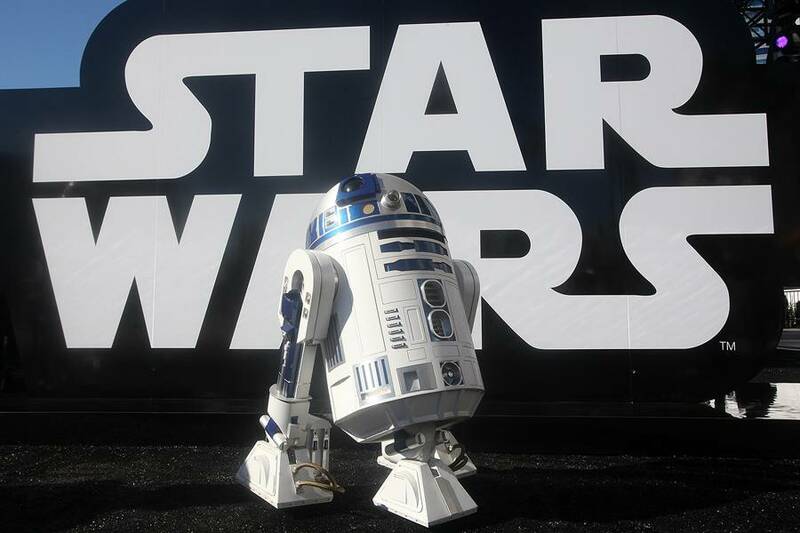 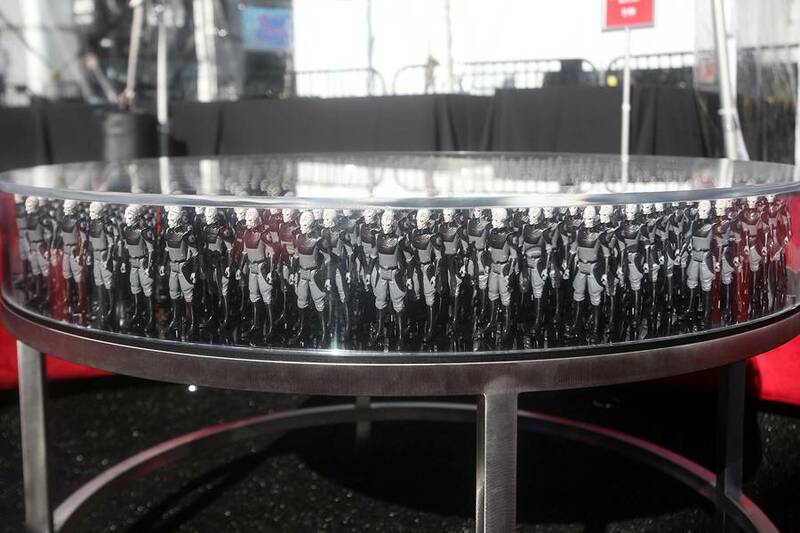 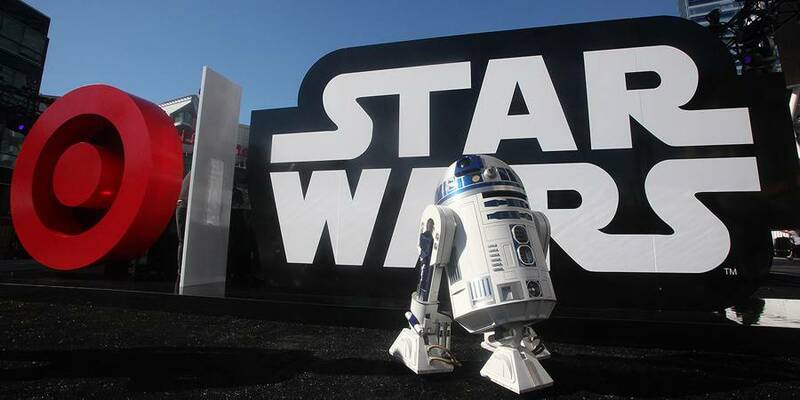 The weekend before Star Wars The Force Awakens won the largest opening in cinema history, Target & Star Wars joined forces to create the Target & Star Wars Galactic Experience at L.A. Live. 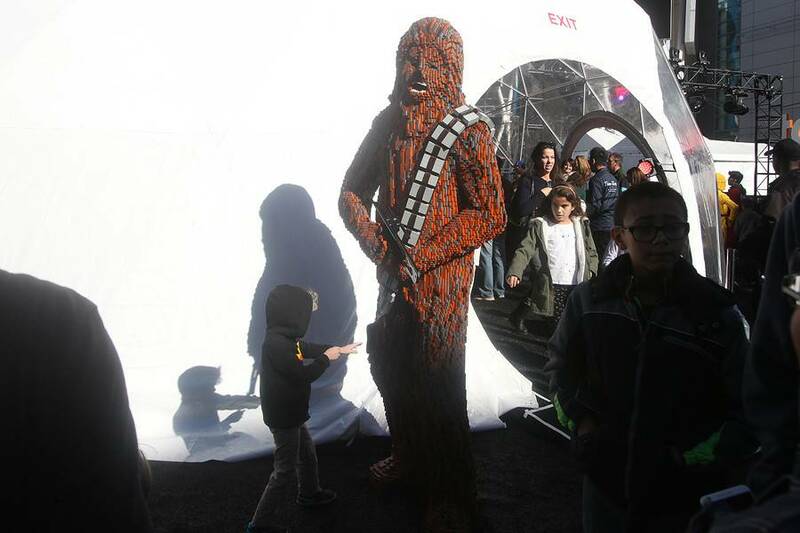 The fun took place over two days of December 12 and 13 from 10am – 10 pm and featured many attractions, all for free. 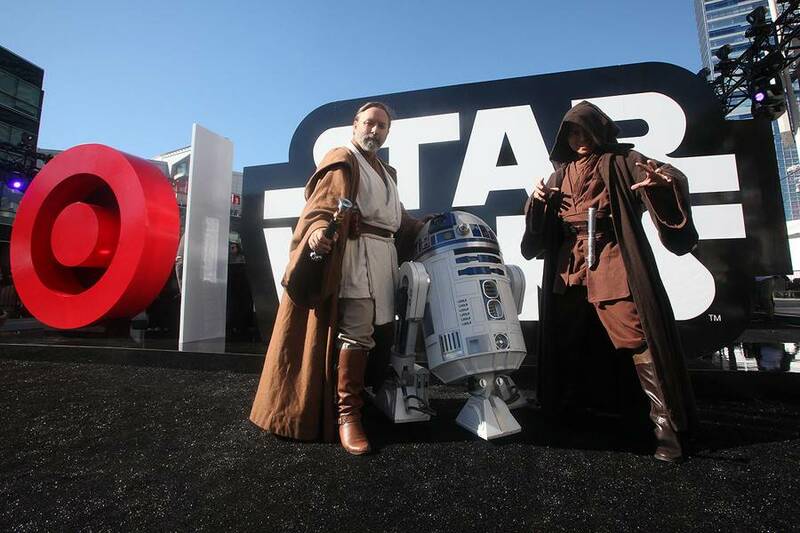 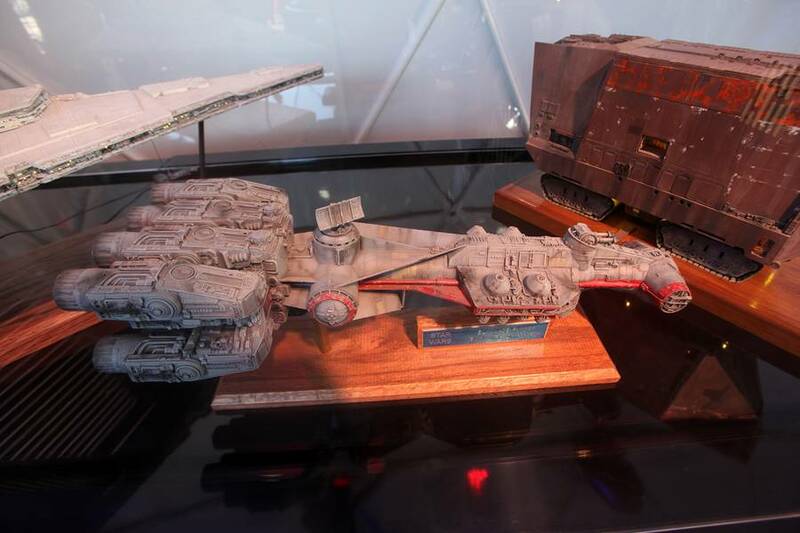 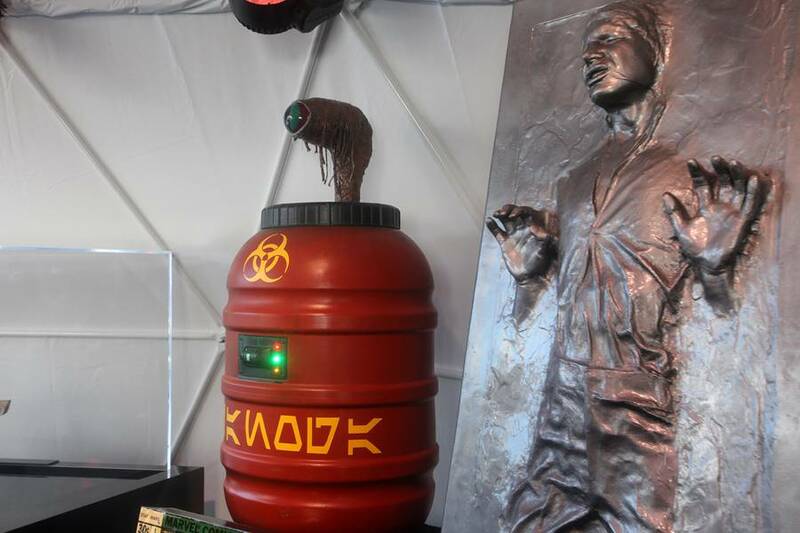 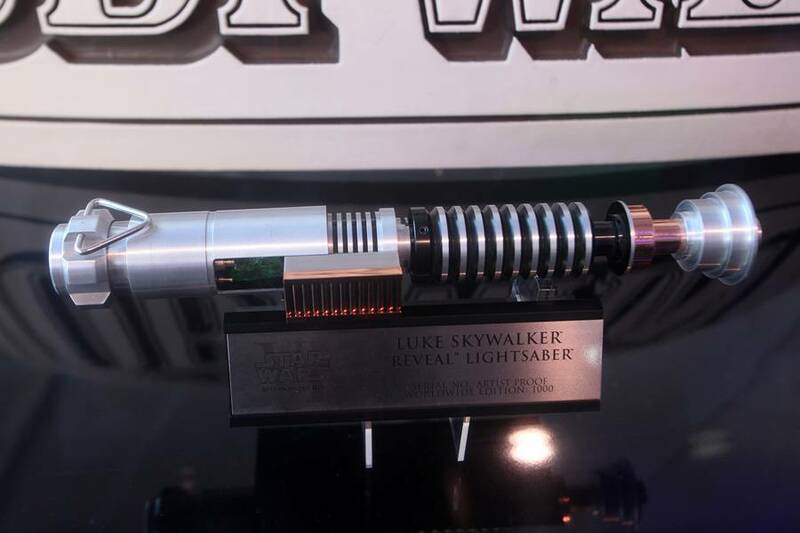 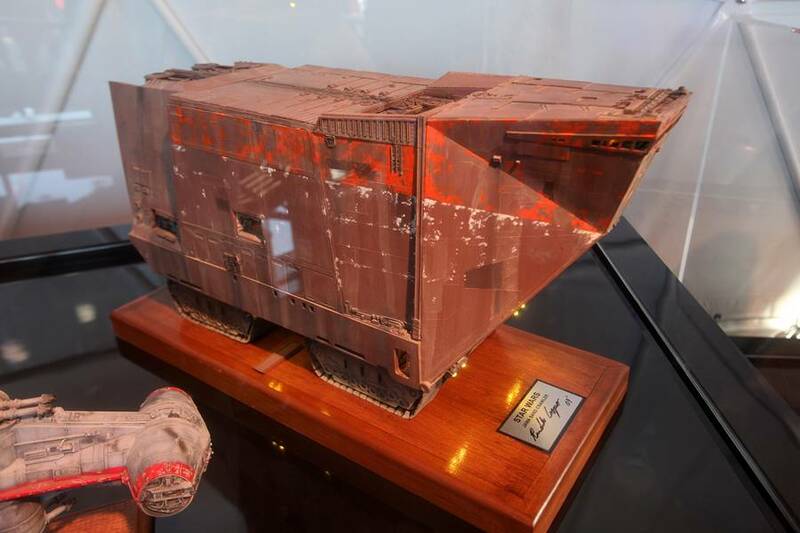 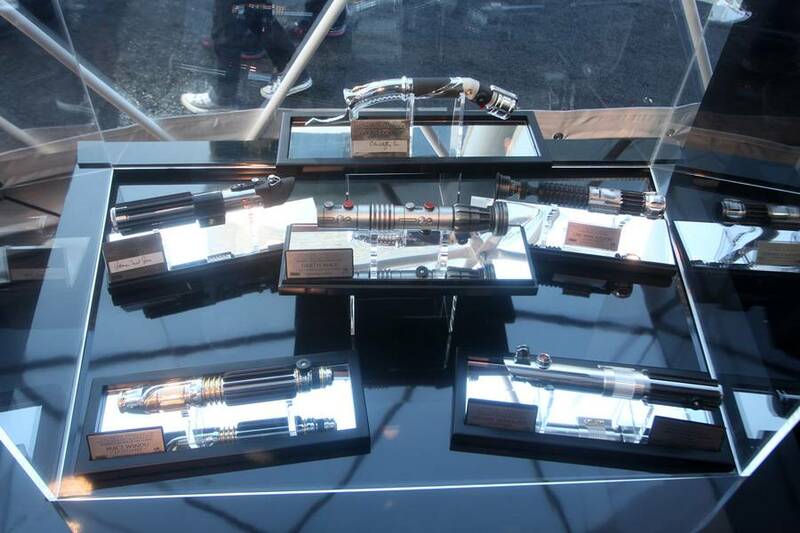 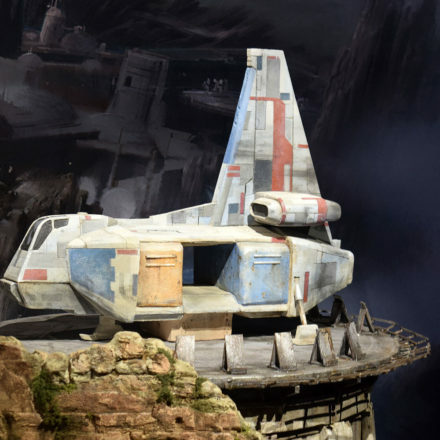 Fans were able to see exhibits, pose for pictures, and experience Star Wars in a completely different way than what’s offered at Disney’s Season of the Force. 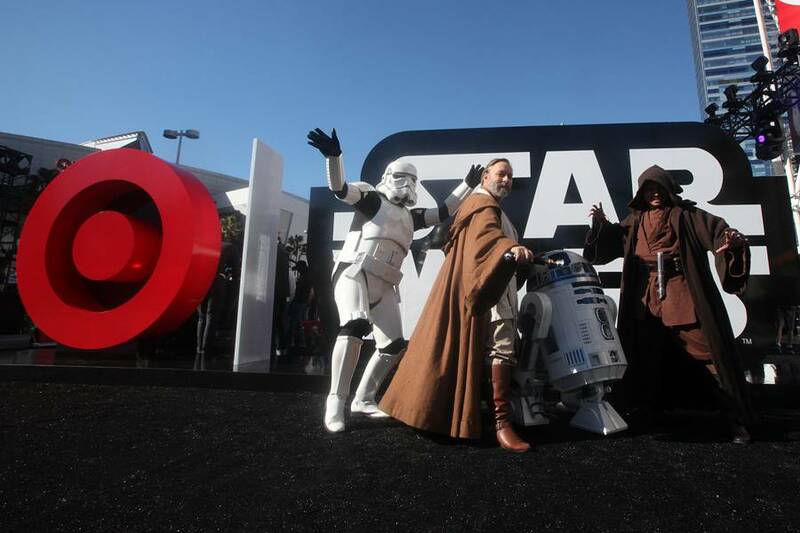 Join us for a photo recap of that day’s events. 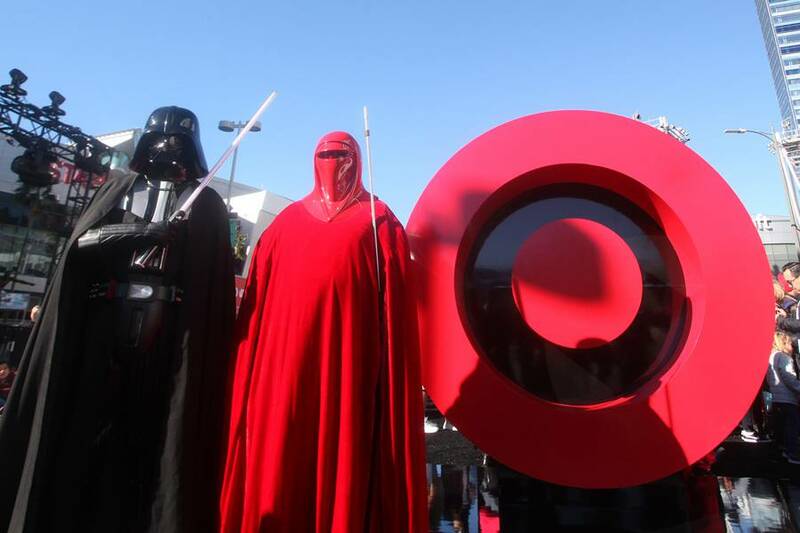 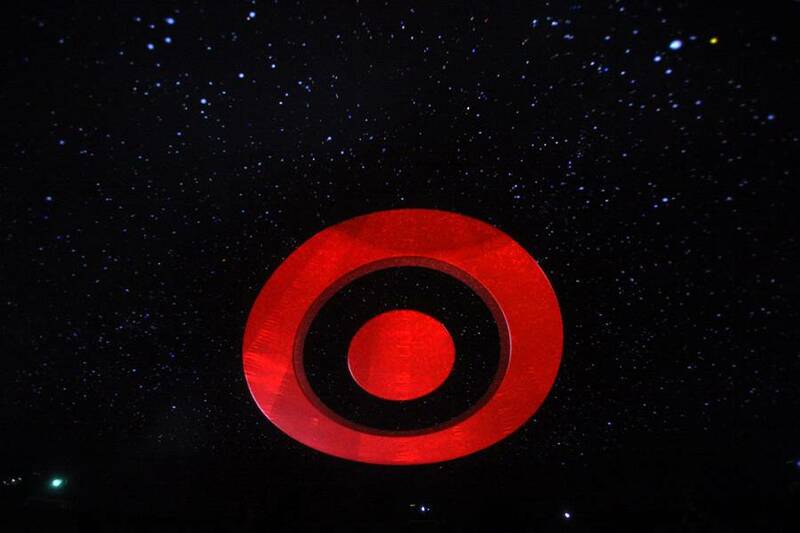 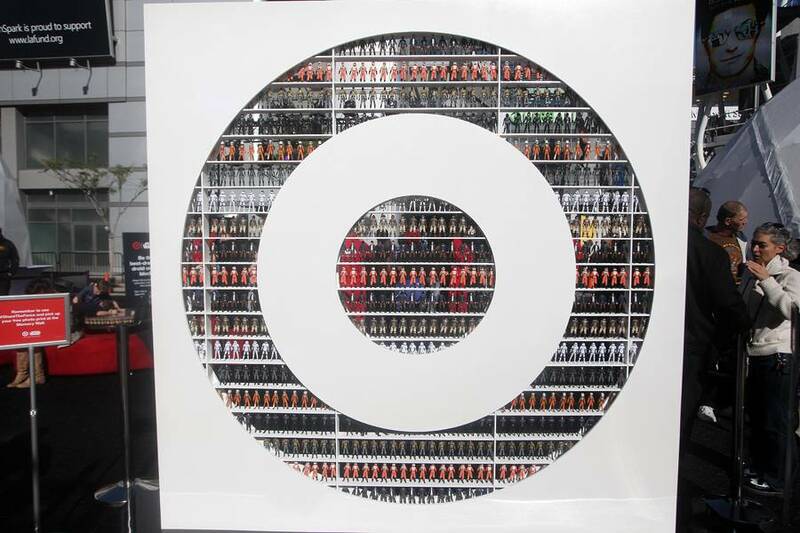 The Target logo and Star Wars logo were prominently displayed large and proud at the very front, completely visible to drivers passing by. 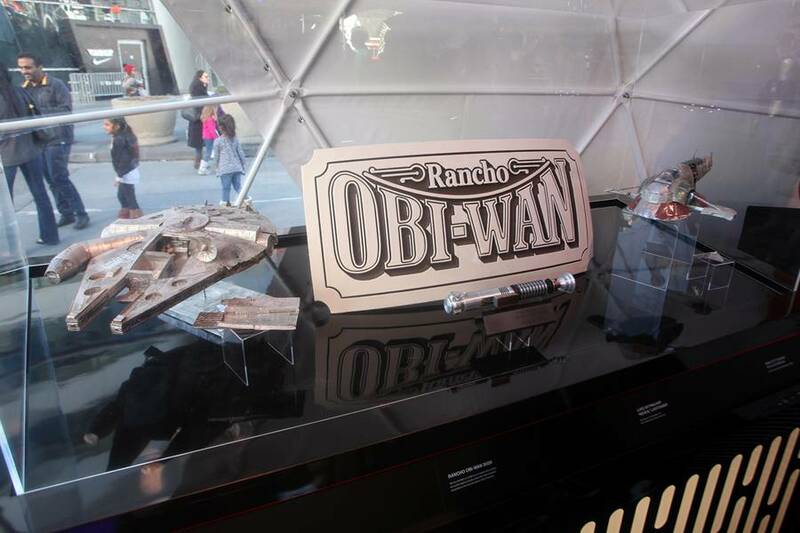 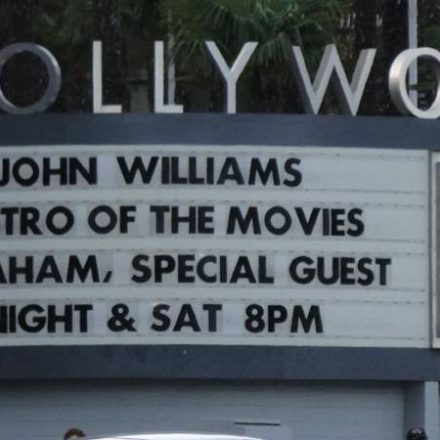 (those signs were later donated to our friends at Rancho Obi-Wan). 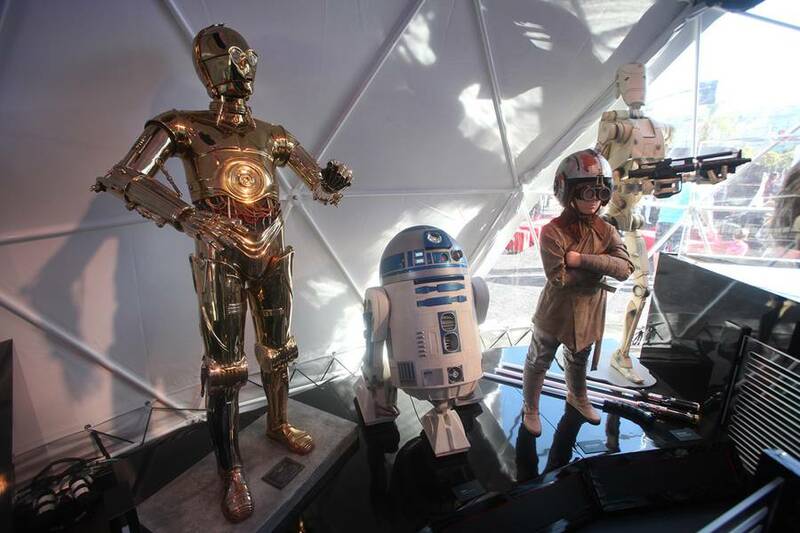 Hanging out near the grand entry way were many of your favorite Star Wars characters, such as Darth Vader, Royal Guard, Stormtroopers, Jedi, R2-D2 and many more. 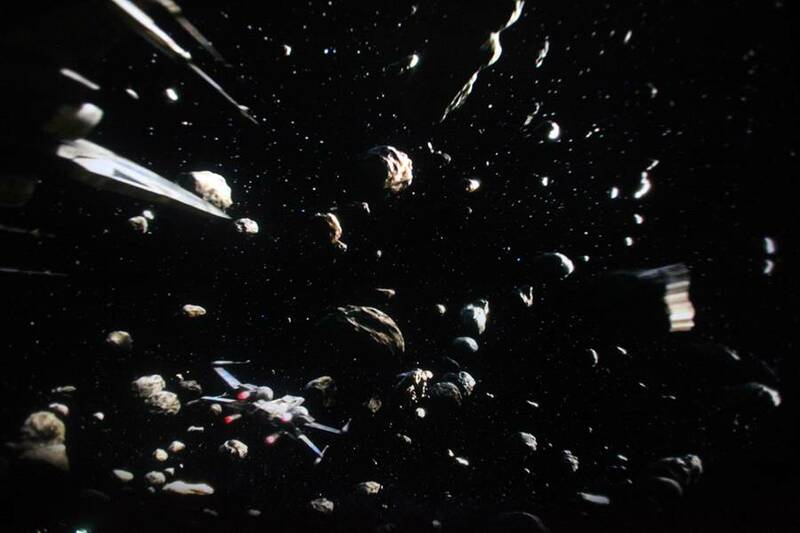 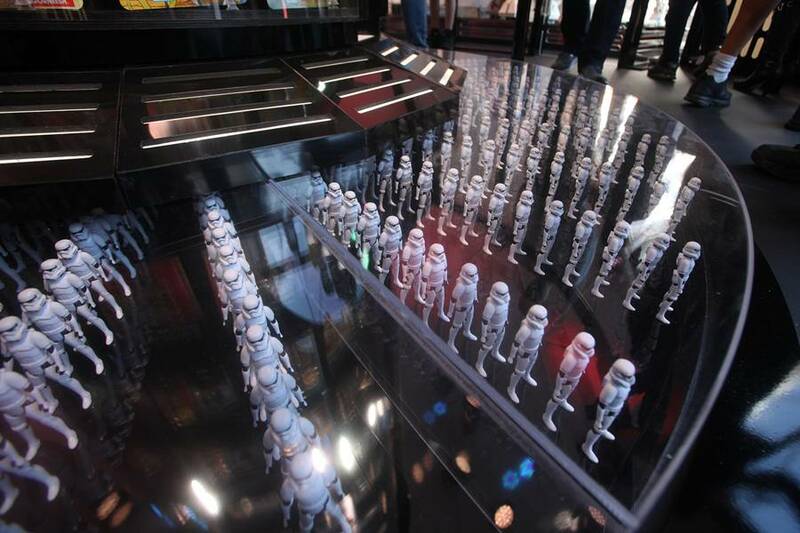 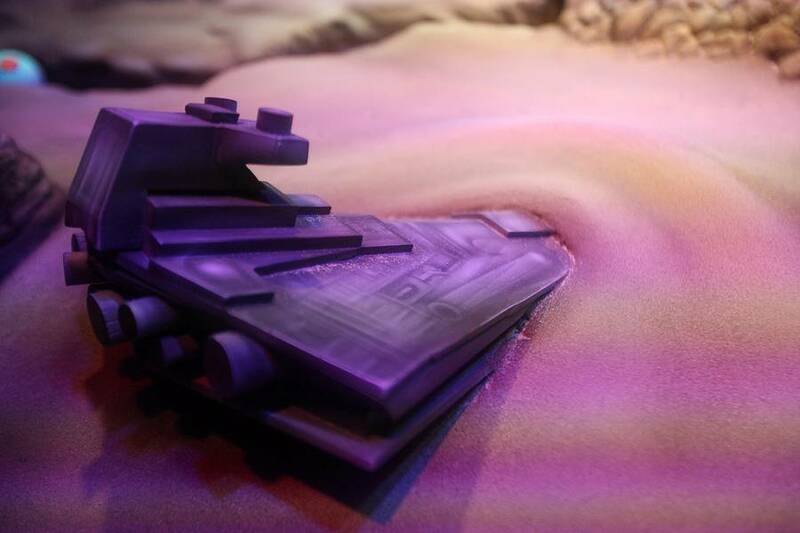 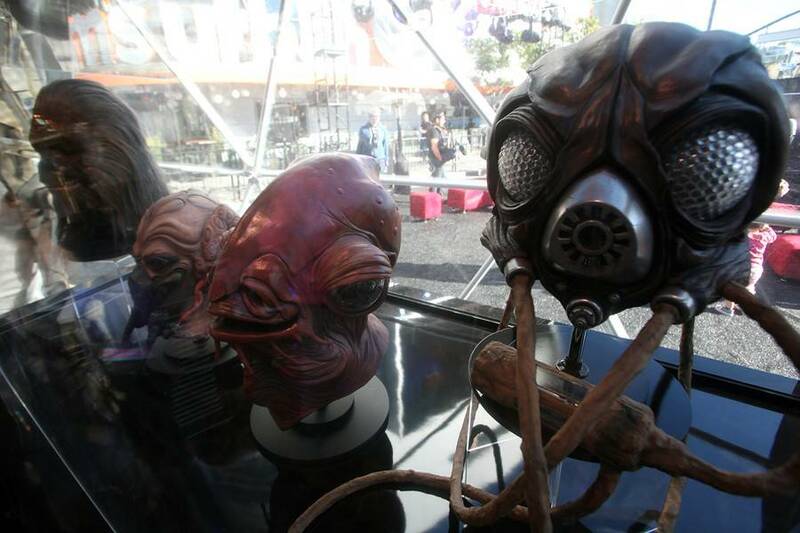 The exhibit consists of several domes, in anticipation of “The Force Awakens”. 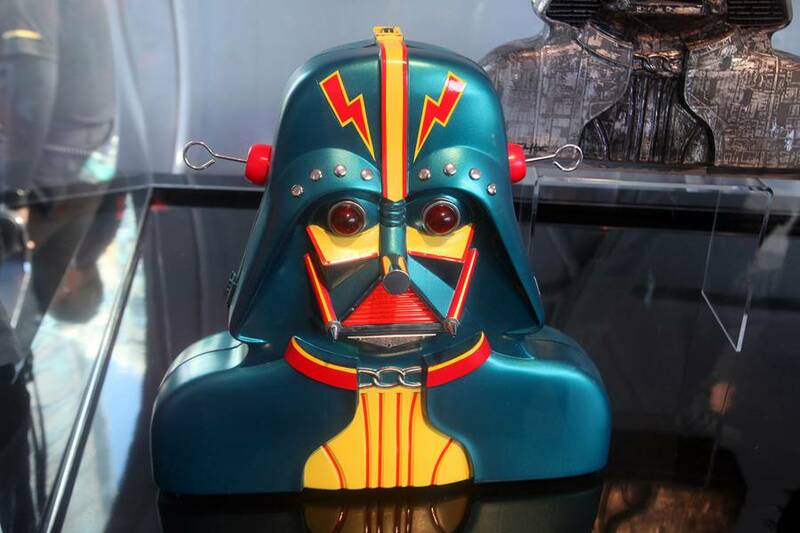 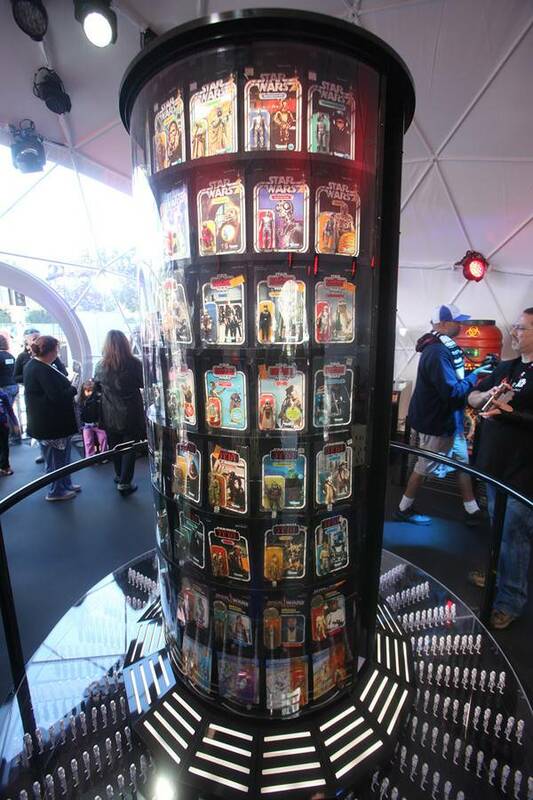 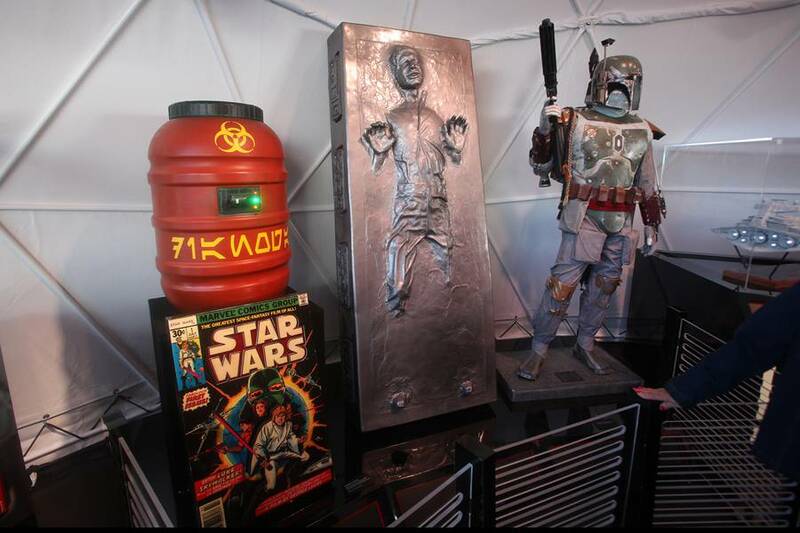 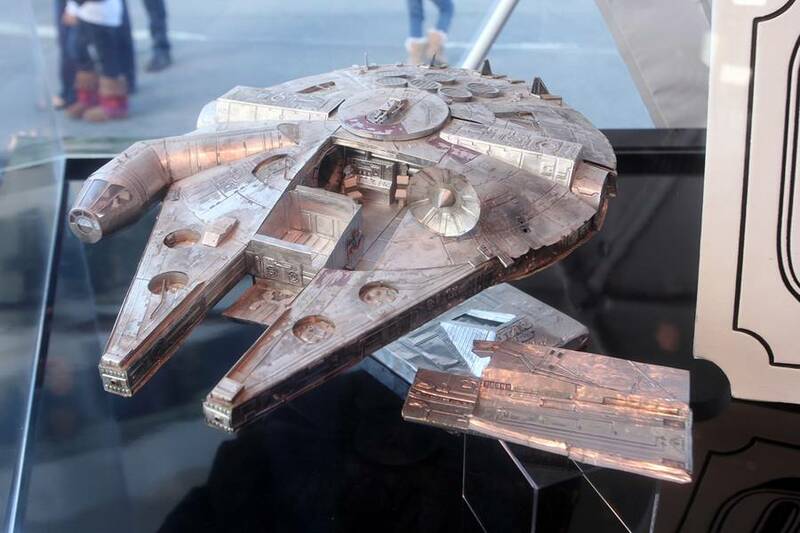 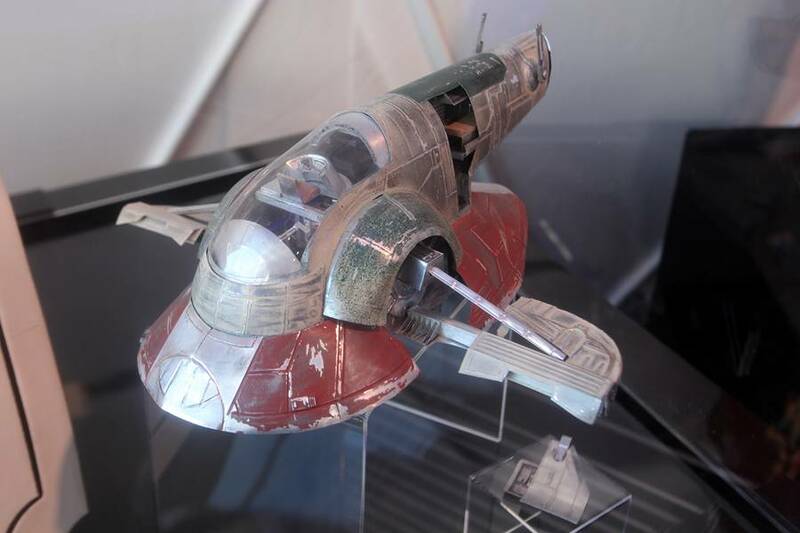 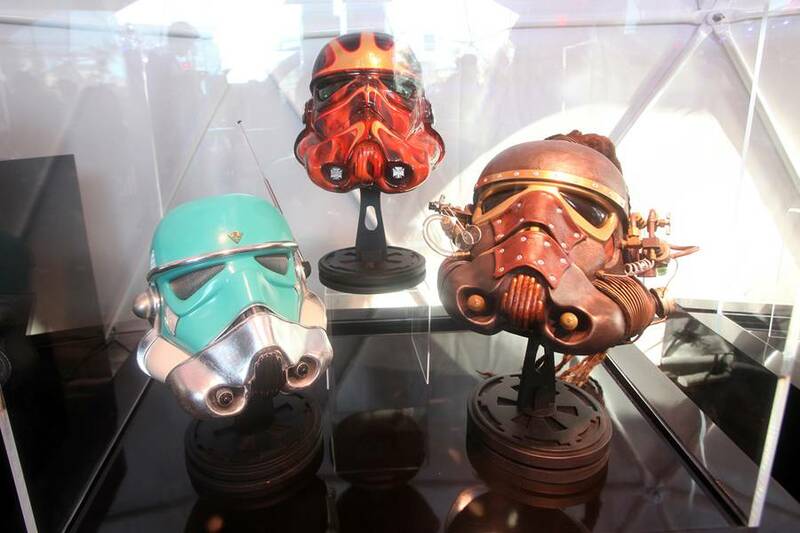 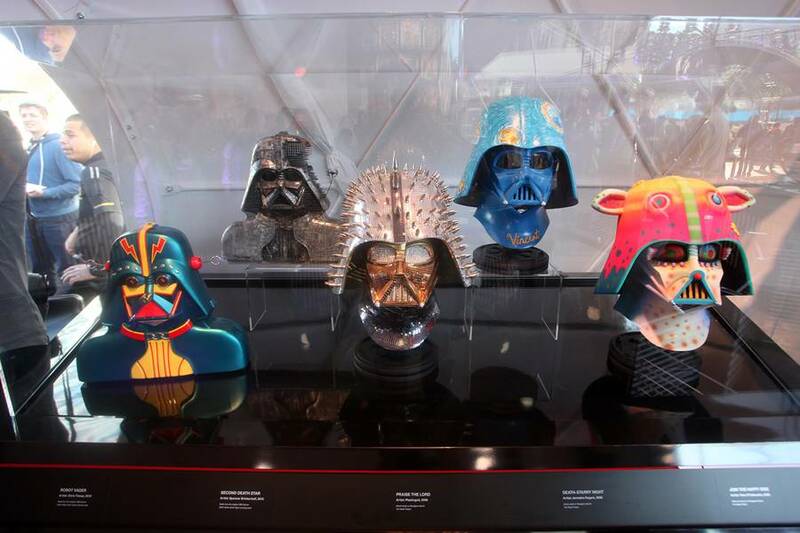 The first dome is the “GALACTIC HISTORY DOME”, curated by Rancho Obi-Wan, here you’ll find some of the coolest and rarest Star Wars products and memories in the history of the franchise. 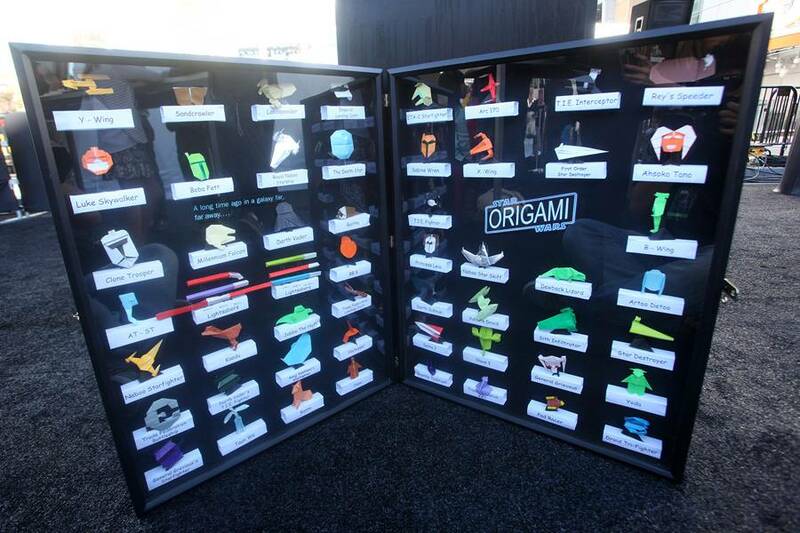 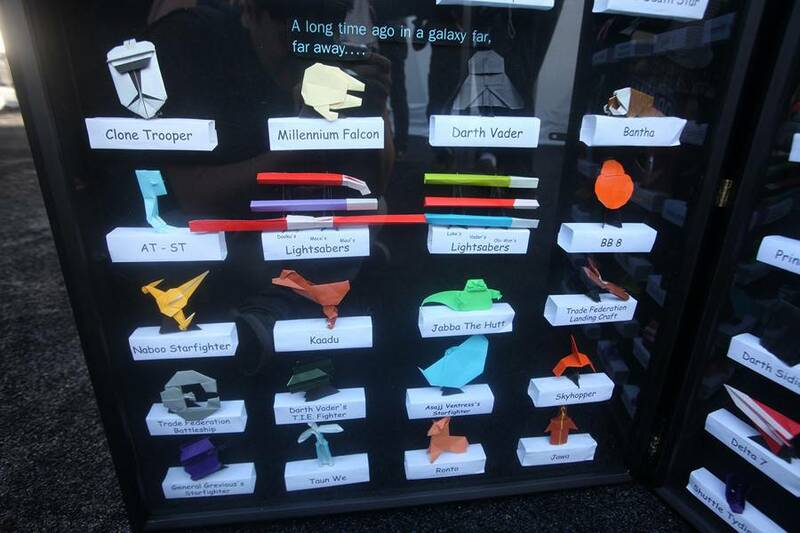 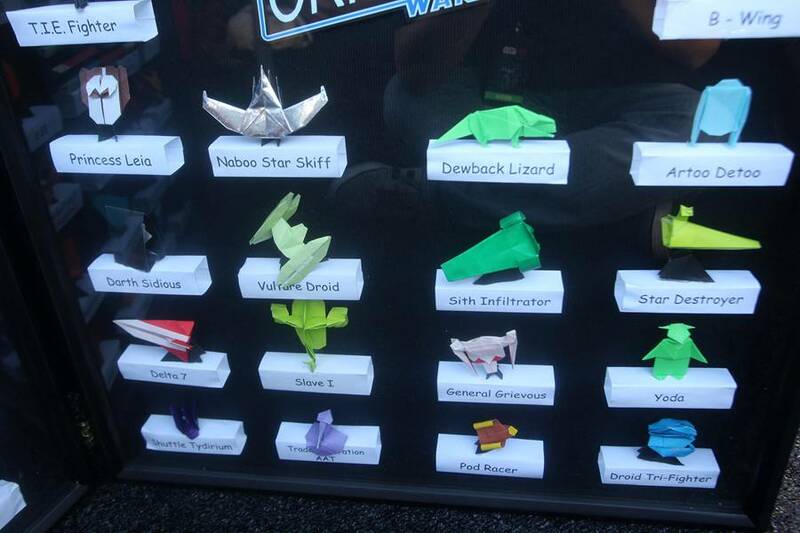 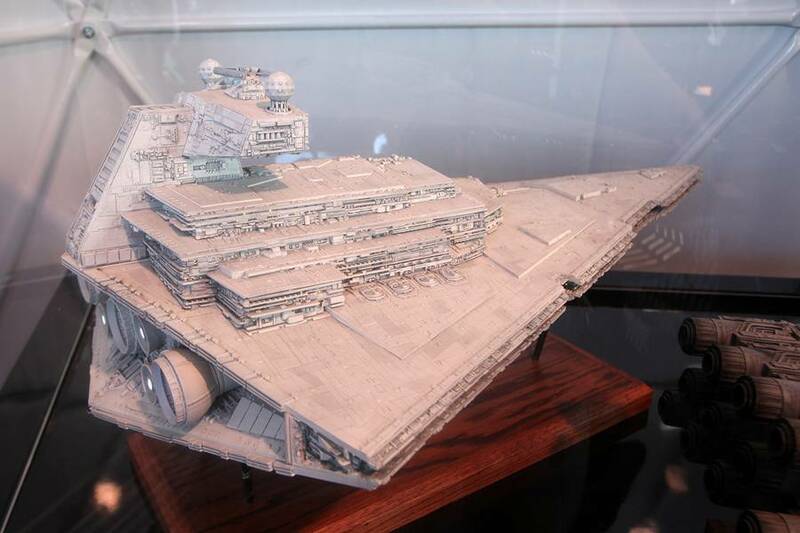 Next up is “STAR WARS ORIGAMI BUILDING”, where you can take pre-made pieces of paper and fold your way into a variety of Star Wars spaceships and characters. 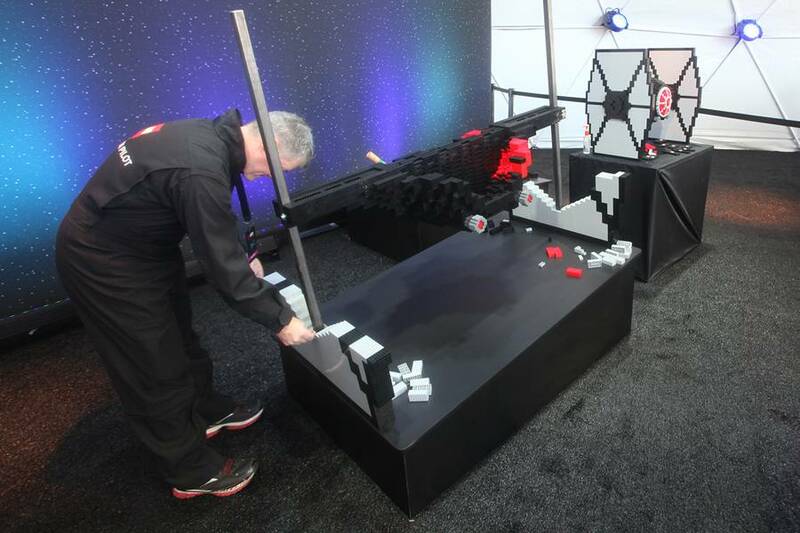 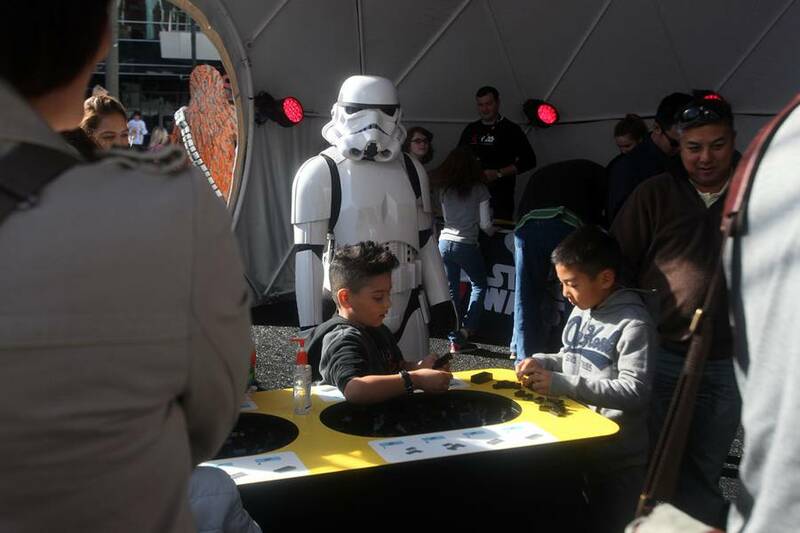 “LEGO MASTER BUILDERS DOME” follows, allowing everyone to take part in building a large scale First Order TIE Fighter. 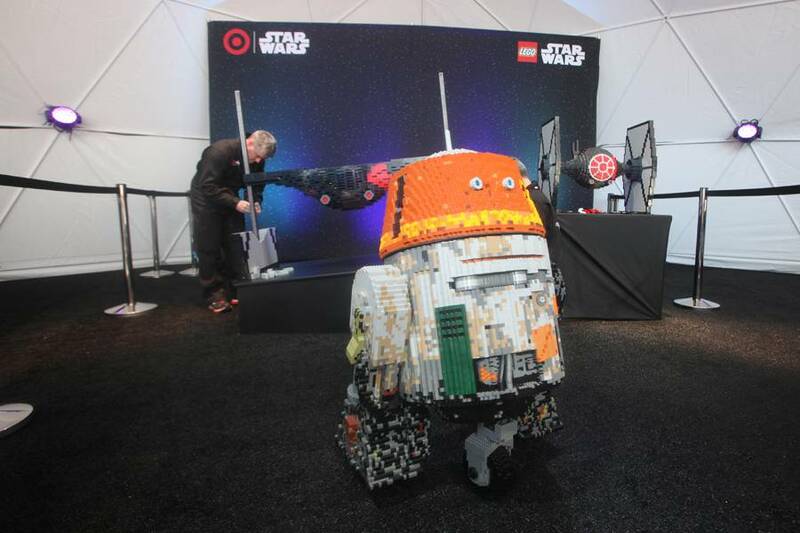 A LEGO Chopper from Star Wars Rebels was on hand for photos as well. 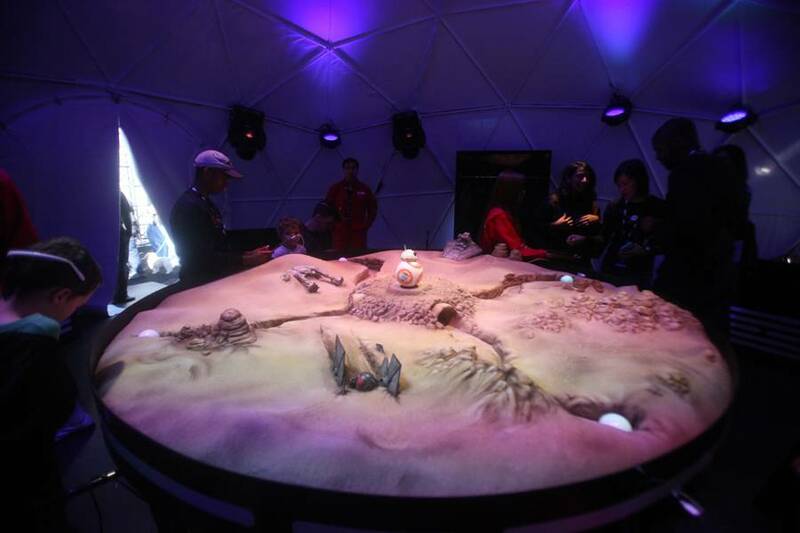 In the “USE THE FORCE DOME”, the Force is strong with you as you battle your opponents and race across the desert to BB-8 using your mind. 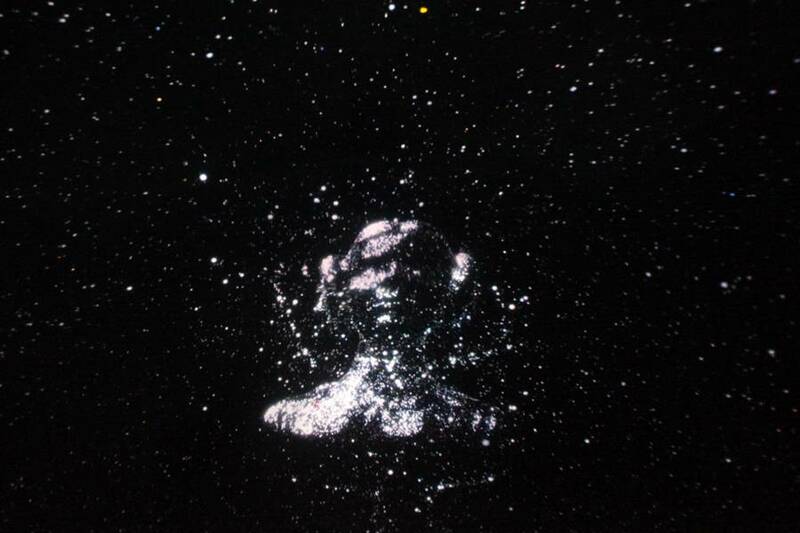 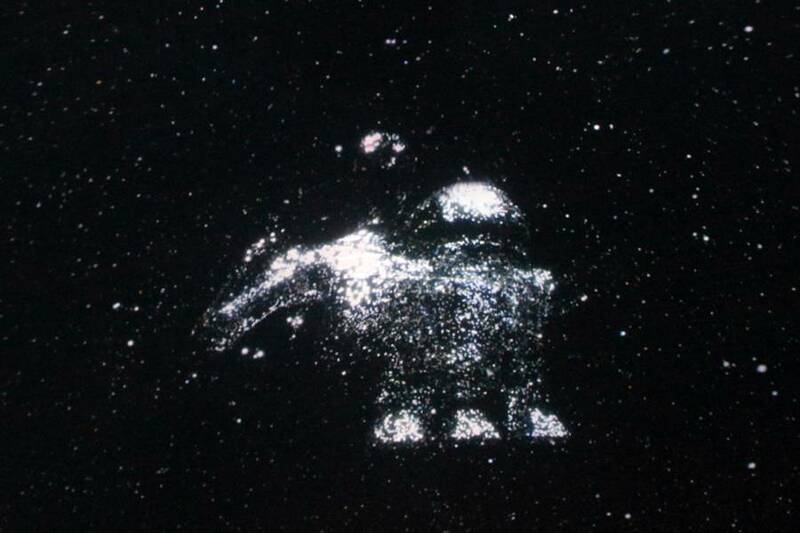 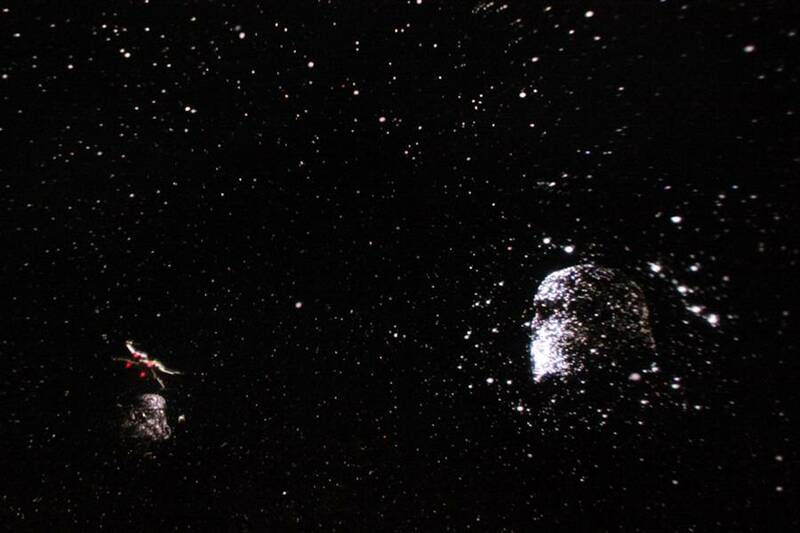 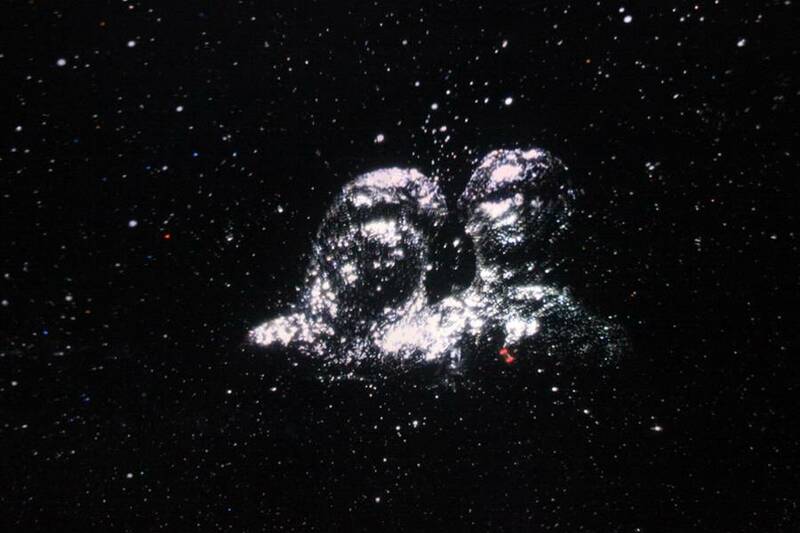 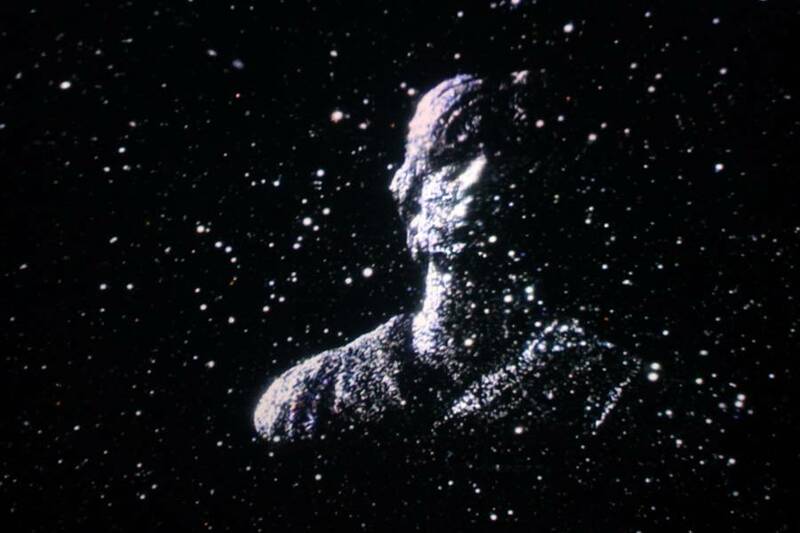 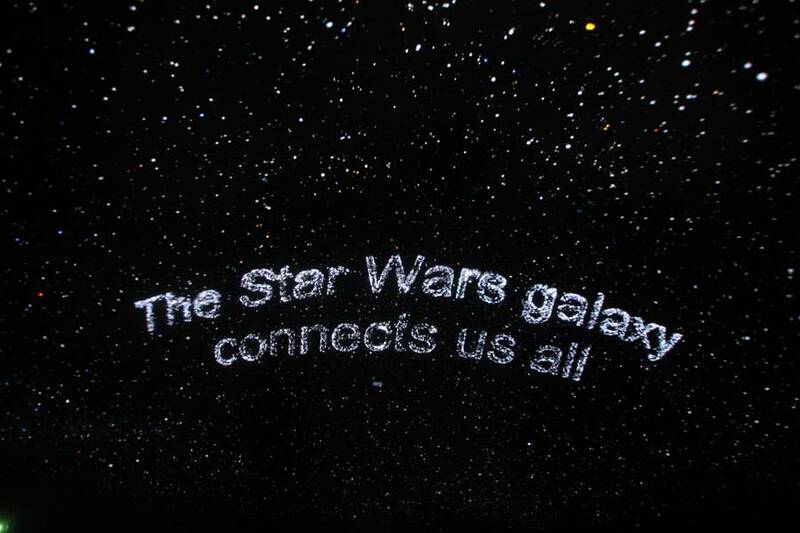 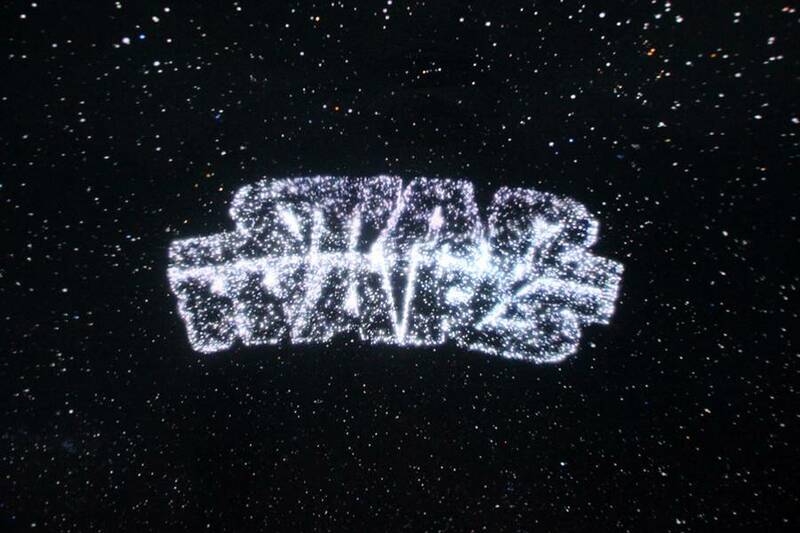 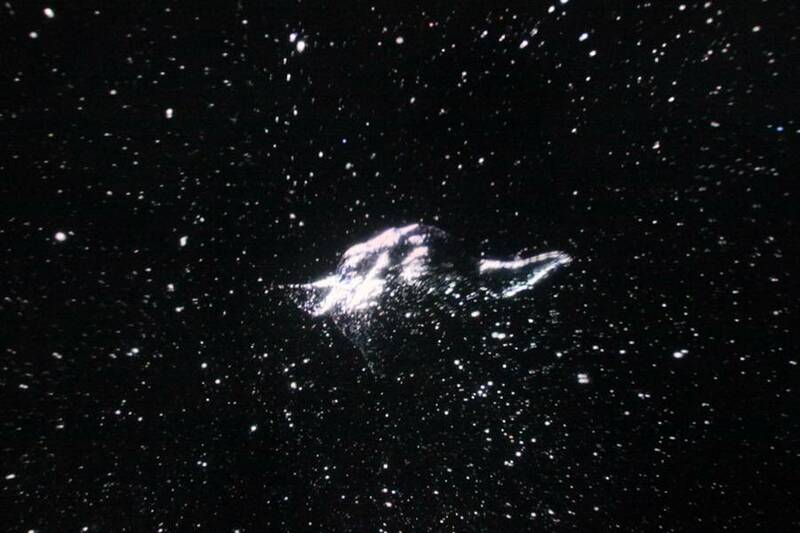 The final dome is the best one, it’s the “GALAXY SHOW DOME”, where you can journey through the galaxy and discover hidden Star Wars constellations. 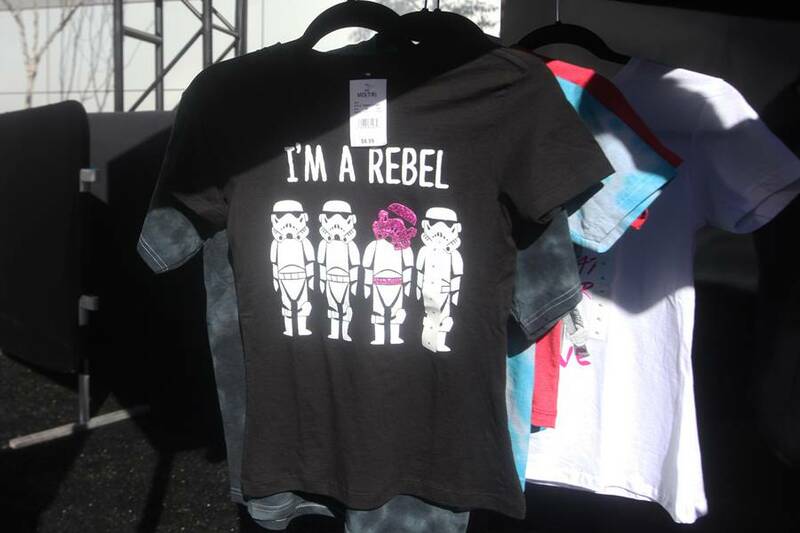 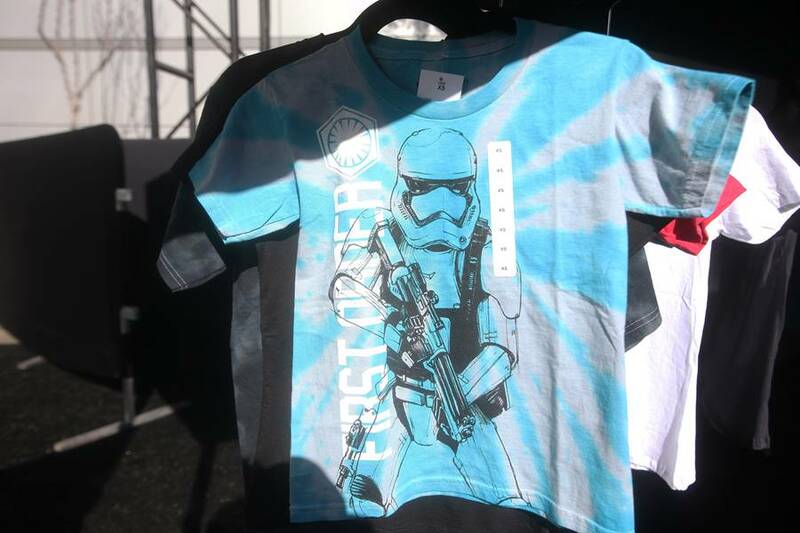 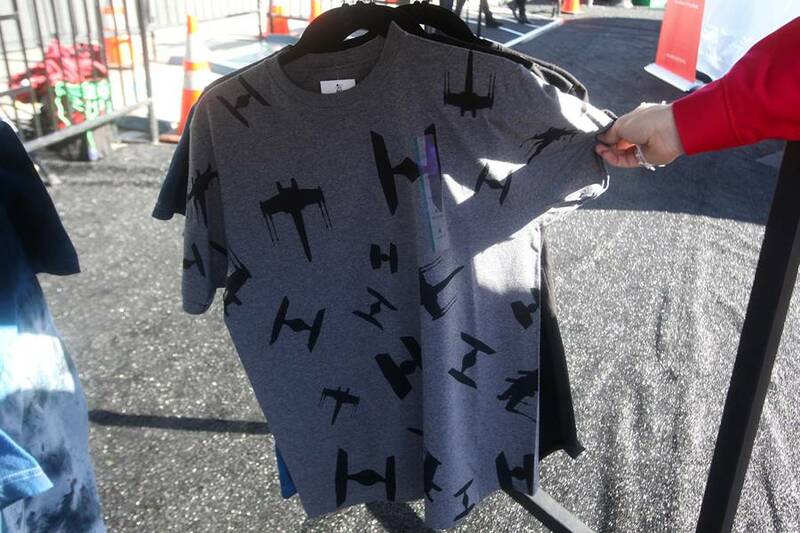 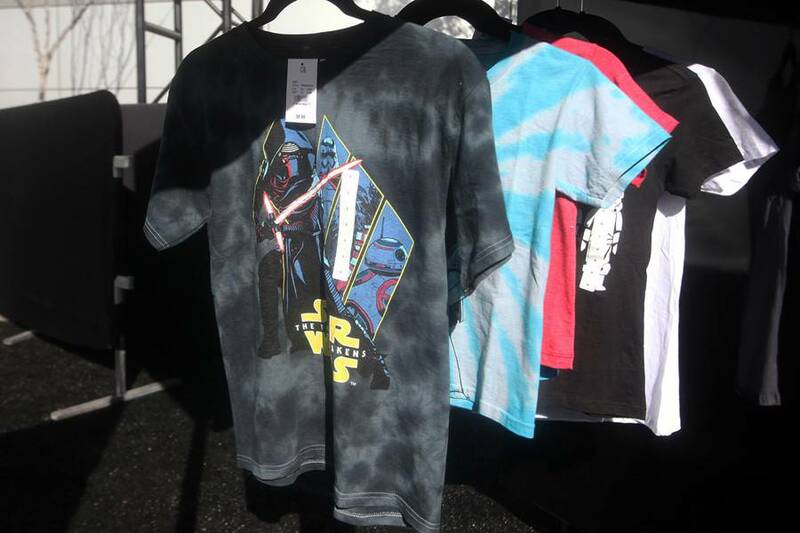 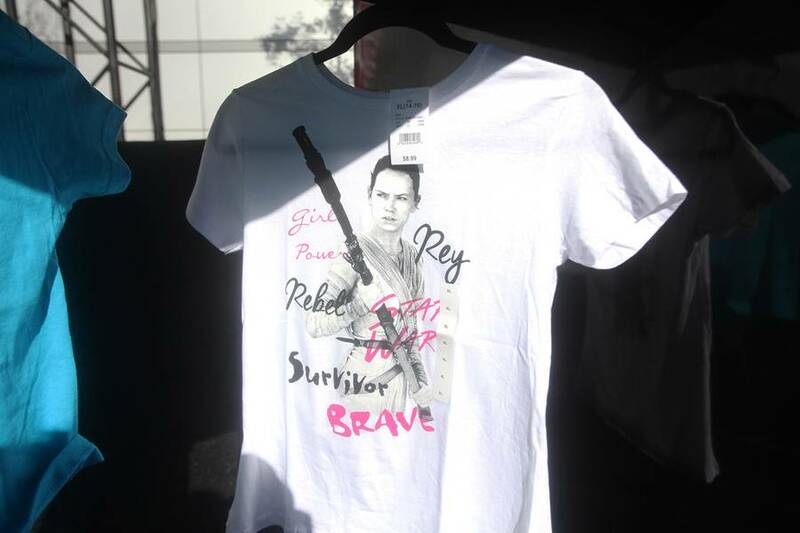 There were exclusive tees sold that are said to be no longer available anywhere else past that weekend. 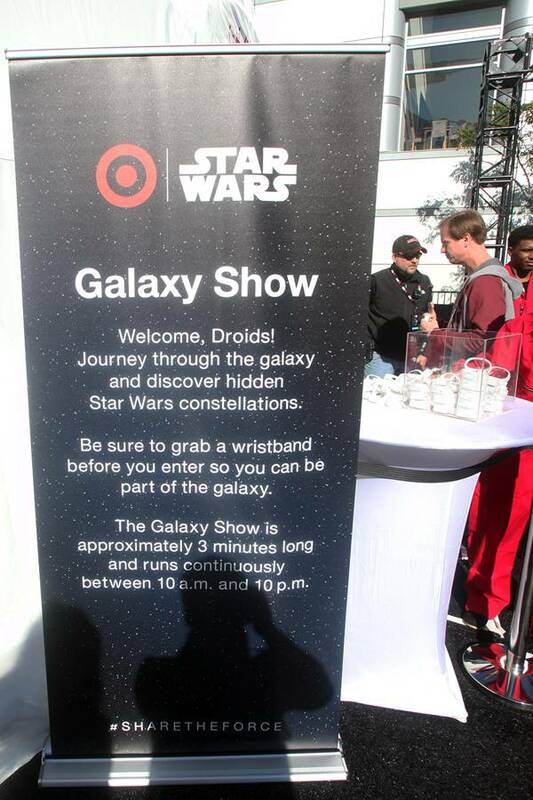 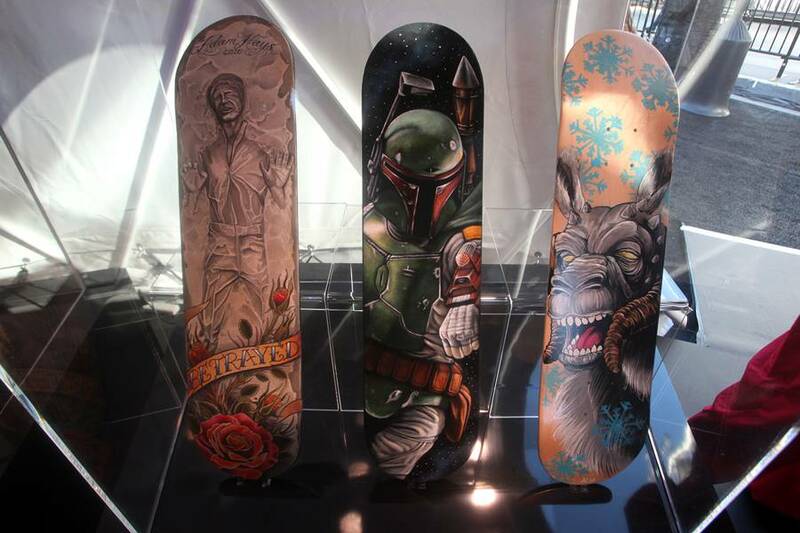 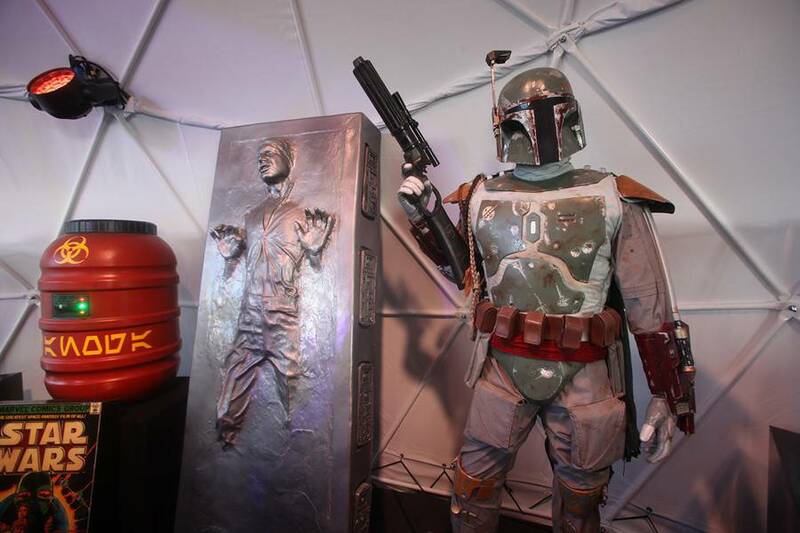 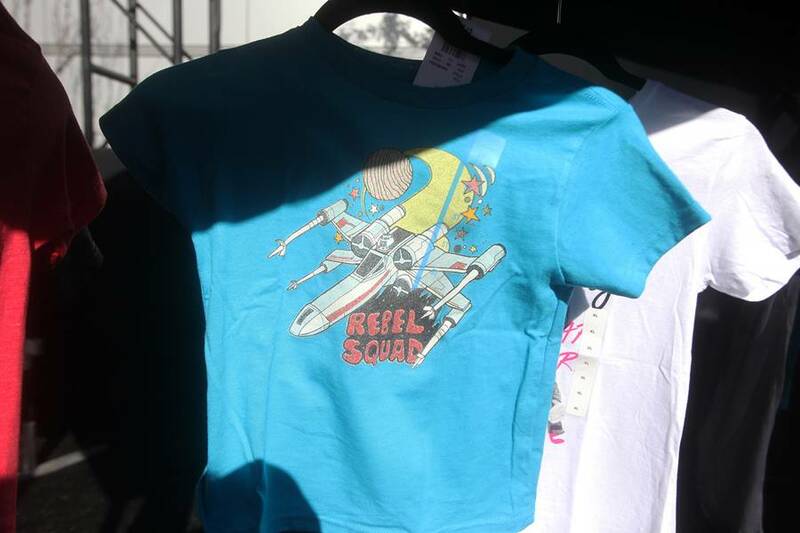 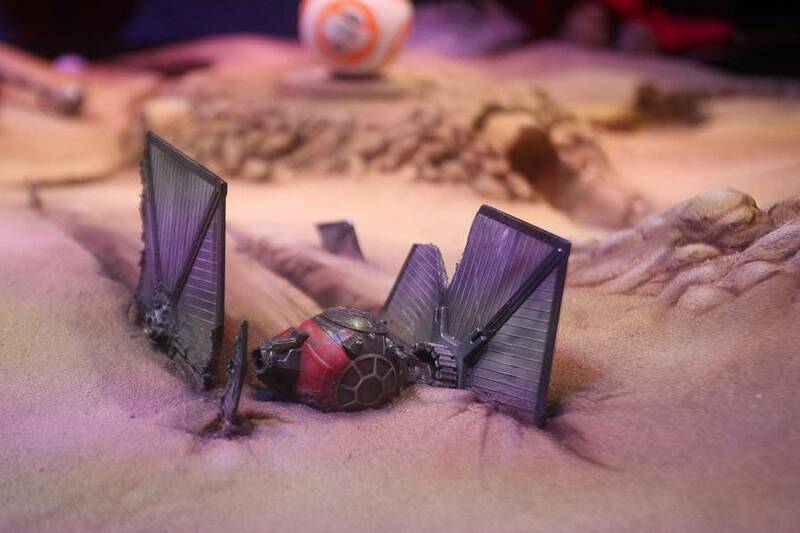 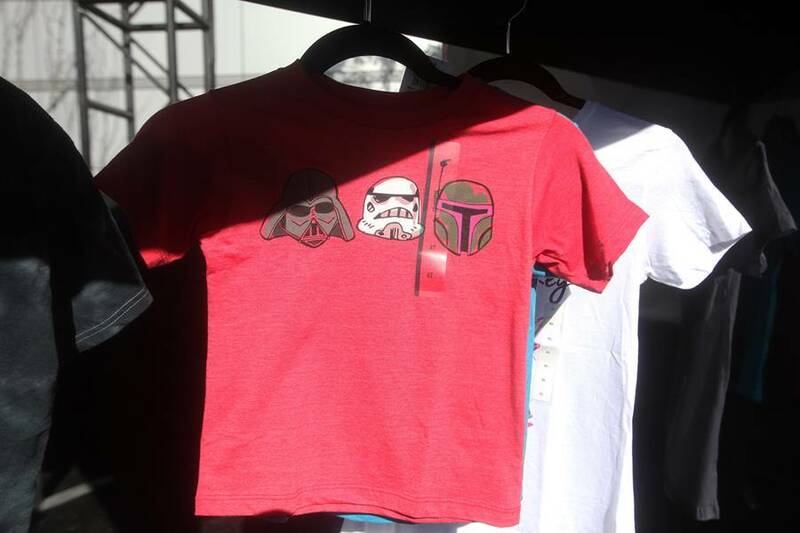 We hope you enjoyed this recap of the Star Wars Galactic Experience, 17,000 square feet of Star Wars fun! 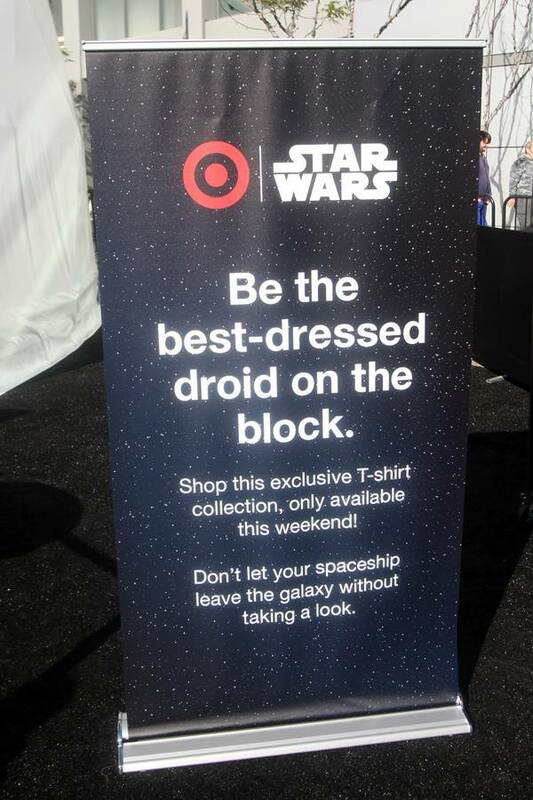 Target will continue to be the ultimate Star Wars fan shopping destination though the holiday and beyond, offering hundreds of new and exciting licensed products across numerous categories including toys, apparel, grocery, housewares and exclusive items found only at Target and Target.com. 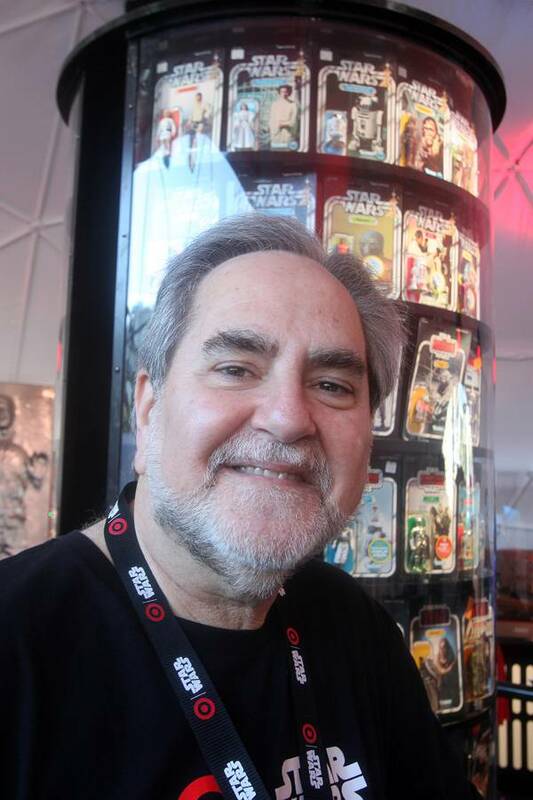 In celebration of Star Wars: The Force Awakens, Target also recently launched “Share the Force” (ShareTheForce.Target.com), the first digital collection of Star Wars memories that will go on to be archived at Lucasfilm – becoming an everlasting example of how we’re all connected by the Force.